Use data to save and improve lives. 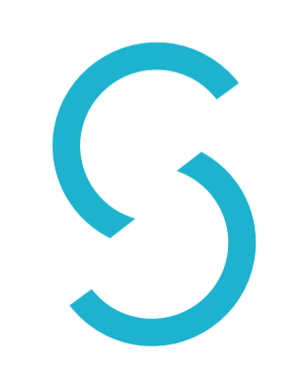 Simprints is a nonprofit tech company founded by a team of researchers from the University of Cambridge. Our mission is to transform the way we fight poverty. We use technology like biometrics to radically increase transparency and effectiveness in global development. Our goal is to make sure that every vaccine, every bednet, every dollar reaches its intended beneficiary. As a nonprofit biometrics company, we provide accurate, affordable, and secure identification tools to help NGOs, businesses and governments deliver essential services to their most vulnerable populations. We are backed by the Gates Foundation, USAID, DFID, Gavi, the Global Innovation Fund and the Children’s Investment Fund Foundation, and we work with multiple partners including Concern Worldwide, BRAC, and Mercy Corps. Since August 2016, we have launched projects in Bangladesh, Nepal, Ethiopia, Uganda, Kenya, Zambia, Afghanistan, Nigeria, Malawi, Zimbabwe, and Somalia. This is just the beginning. Simprints is aiming to reach 3.5m beneficiaries by the end of 2019. Right now, our flagship project with the Ethiopian Ministry of Health (backed by the Children’s Investment Fund Foundation) is on course to deliver essential deworming treatment to 1m individuals across 5 districts of Ethiopia. Life is short. We believe work should be awesome, meaningful, and fun. At Simprints, we’re taking on global development’s biggest challenges, powered by an amazing culture and incredible people. Work with us, and you will grow faster, learn more, and take on greater responsibilities than at nearly any other job. Work that matters. No matter what role you take, from writing code to running field tests, you’re playing a crucial part in improving lives in the poorest parts of the world. Learn like it’s your job. Because here at Simprints, it is. Learning objectives, external mentors, and a significant dedicated education budget you can use for any courses, trips, or projects that power your personal and professional development. Work flexible hours. More efficient late at night? Better before the sun rises? That’s fine by us. We are looking for people who get the job done, not just people who work between 9am and 5pm. Quarterly ‘Lego’ days where you can work on any project you want. Free gym memberships and additional wellness budget. Free healthy breakfast and snacks. Defining how we estimate and measure social value as an organisation, e.g. what is our social impact strategy, what tools do we use, etc. Helping to set outcome indicators, and take ownership of monitoring them through the project lifespan. Develop theory of change frameworks and carry out research (e.g. from internal Simprints data dives and academic literature) to estimate outcomes derived by our project inputs. Work closely with Project Managers to analyse, interpret, and clearly communicate updates with impact partners for improving project outcomes. Dig deep in data troubleshooting to understand what is and isn’t working in current projects . Help design and implement impact studies. Analytical mindset and ability to break down complex ideas into simple pieces. Compelling communication for disseminating findings. Some experience cleaning, exploring, and drawing insights from data sets using a programming language (e.g. Python or R). Ideally, familiarity with modeling (e.g. ROI, social impact, value for money) and an understanding of ‘theory of change’ frameworks. Analytic mindset. You are sharp with an ability to understand, structure, analyse, and rigorously solve problems you encounter. Initiative. You dig deep into problems until you’ve truly solved them. Commitment. You are passionate about our cause and truly believe in its social impact. You know how to manage your time, when to ease off vs. when to go give it all and go the extra mile. Integrity. You have a strong moral grounding and will not compromise on values under any circumstances. Resilience. You are persistent and don’t allow setbacks to drag you down. Instead, you extract key learnings, turn them into opportunities for growth, and move on quickly. Teamwork. You are independent and reliable, but also quick to ask for and offer help. You thoroughly enjoy working in a small, agile, and fast-paced team. Please submit your CV on www.simprints.com/careers. If you'd like to submit a cover letter as well, you are welcome to.